Sustainability Advertising: What are you fighting for? 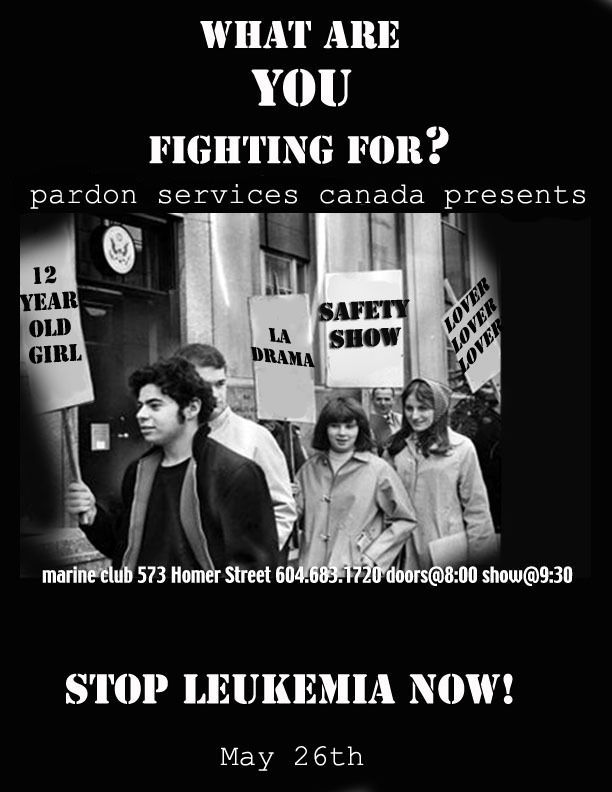 The next show on the list to Fight Leukemia is May 26th at the Marine Club. 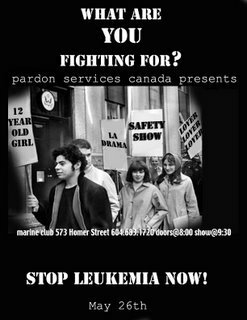 There will be four great Indy bands helping us to reach our goal of $11,000 for leukemia research. Right now we are at $7500, but we only have a month to go, so come on out and show your support. Or you can donate online here or here.